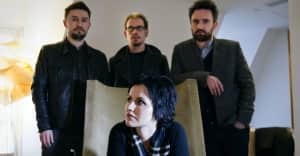 Dolores O’Riordan sadly passed away on January 15, aged 46. Tributes to the lead singer of The Cranberries flowed in immediately after the announcement and continue to do so. On Monday evening ANOHNI shared her own, an A capella cover of the title track from the Irish band's 1994 album No Need To Argue. O'Riordan's body was found at a hotel in London, where she was staying while mixing a new release with her other band D.A.R.K. A cause of death is yet to be determined, though police are not treating the case as suspicious. An inquest into O'Riordan's death, held at London's Westminster Coroner's Court, has been adjourned until April 4 while the coroner awaits test results. Her funeral will be held in County Limerick later on Tuesday, December 23. ANOHNI's latest album, Hopelessness, was released in 2016. An EP, Paradise, followed a year later. Thumbnail image courtesy of Alex Thebez.